The population is continually increasing while consumers are become ever more health conscious and the demand for lean proteins, specifically, fish products continues to soar. Fish farming now accounts for about 50% of global fish production and has grown to at least a $220 billion industry over the past few decades. Largely, this industry grew in response to the fact that natural resources such as lakes, rivers, and oceans can only satisfy so much demand. Aquaculture companies, recognizing this natural deficiency, are becoming major players in the fish food industry by breeding and cultivating fish distinctively earmarked for consumption. Their solution lies in innovative technologies and farming techniques aimed at quality and efficiency. Still, current farming techniques are limiting the industry’s ability to keep pace with demand. Opportunities exist for innovators whose design processes satisfy both consumer and industry concerns while maximizing efficiency. Federal and state R&D tax credits can help support these efforts. This article will discuss the most innovative technologies in the aquaculture industry and present the tax credits available to support ongoing R&D efforts. 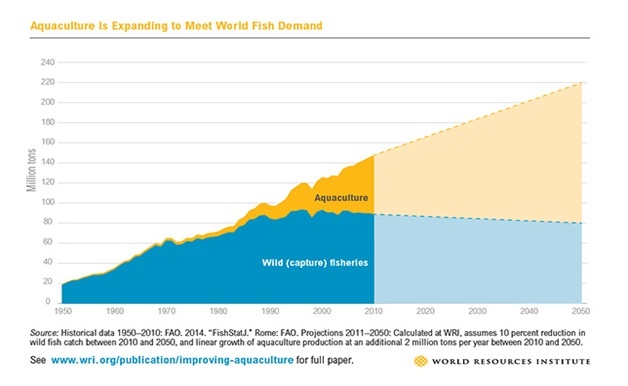 The chart below demonstrates the expansion of aquaculture in response to the growing global fish demand which will soon surpass wild fish food production. 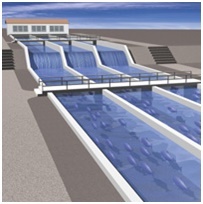 Open-Net Systems which utilize natural water reserves to allow for the free and unregulated exchange between the farm and the surrounding environment. Some innovators are beginning to develop mini farming units designed around shipping containers, which can be used to efficiently produce food in urban settings. 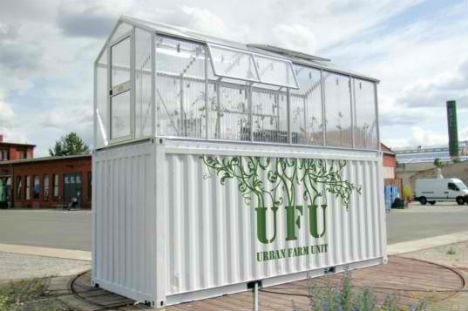 Perhaps more innovative is the fact that the container holds an aquarium for fish farming, while above it, a greenhouse is constructed to grow vegetables. With this, the system uses fish waste and carbon dioxide produced in the aquaculture part of the container to boost the growth of the plants in the greenhouse container above. Moreover, the water that goes into the system is used twice – first for the fish tank, and then for the plants. The real benefit lies in the fact that both of the species provide nutrients for the other. Aquaponics is the combined culture of fish and hydroponic vegetable crops in a closed-loop system. In aquaponics, fish provide the nutrients that plants need to grow, and the plants act as a filter to improve the water quality for the fish. Pentair Aquatic Eco-Systems, Inc. (Sanford, NC) has been instrumental in helping commercial operations around the globe integrate their traditional fish farms and plant production with its re-circulating aquaculture system (RAS) solutions. Designed to be energy efficient with minimal waste, the resulting benefits include cost savings on filtration and fertilizer, the elimination of soil borne disease in vegetable production, and the potential to meet organic standards. Traditionally, fish farming has taken place near water systems. But modern aquaponics make it possible to create fish farms in a variety of places such as old industrial factories and buildings. One example is Urban Organics, a large-scale indoor aquaponics farm located in the historic Hamm's Brewery building in St. Paul, Minn. Pentair Aquatic Eco-Systems and its team of experts including engineers, horticulturists, and biologists, work with Urban Organics to design, install and engineer the world-class-system. It is one of the largest and most advanced aquaponics facilities in the country. The system will eventually house eighteen 3,500-gallon fish tanks and generate more than 720,000 pounds of greens and 150,000 pounds of fish annually. Since it opened in April 2014, Urban Organics recently produced kale, Swiss chard, Italian parsley and cilantro as its first crops to be grown alongside and in an integrated system with tilapia. All produce and herbs are 100 percent organically certified by the USDA National Organic Program. Fishing nets have a significant innovation opportunity. One idea involves designing better systems for containing the fish. 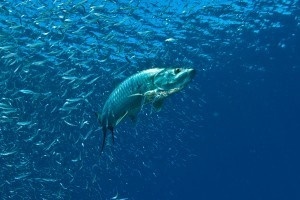 When large waves rise higher than the nets, fish are given an opportunity to leap out. When this happens fish farmers lose revenue from the reduced catch. Some solutions involve nets that rise higher than the waves, up to thirty feet high; but these ideas are often costly. Still, the larger platforms hold significantly more fish which serves to offset the cost effect. Nonetheless, the increased fish population creates a concern for disease since it spreads quickly in larger fish communities. Some researchers combat the issue by designing elaborate environmental controls including indoor facilities with controlled aqua environments that use these “pools” to regulate temperature and water flow. Although many consumers are concerned about the quality of farm raised fish, in many contexts the results can actually be quite beneficial. Being able to control the environment provides an opportunity to tailor fish products to consumer specifications. While some consumers still prefer the wild fish, innovation provides an opportunity to overcome this preference. For example, farmed tuna has significantly lower levels of mercury than wild caught tuna and there is a real possibility to further lower the level, paving the way for all consumers to partake with greater confidence. Antibiotics are used in many fish farming practices to battle disease and parasites. Most of these antibiotics are non-problematic and do not pose serious health risks. Some have marginal concerns. Whatever the case, some consumers associate farm raised fish with high levels of hormones or antibiotics which can have a negative effect on product reputation. Therefore, it is important that scientists arrive at an effective and efficient means of reducing antibiotics. The good news is that in the United States, antibiotic drug use on fish farms is on the decline due to the development of vaccines and better management practices, a result of innovative solutions driven by R&D. Still, innovators are under constant pressure from environmentalists to reduce further antibiotic and hormone levels in the fish. While progress is underway, certain challenges arise from the fact that fish are cold-blooded creatures whose anatomy is not as widely understood as that of say humans or chickens and cows. Improved knowledge on these cold-blooded creatures will eventually allow scientists to develop more efficient vaccines while their collaboration with engineers will simultaneously improve disease prevention management systems. Like many challenges in the agriculture and traditional land farming industries, in fish farming, fighting disease is an important concern. However, unlike those two industries fish farming is still an emerging industry. Science, however, is accelerating progress. Researchers in Japan are gathering genetic information and developing innovative breeding methods to develop strains of fish less susceptible to disease. The Harvard School of Public Health (HSPH), recently traveled to Chile to work with faculty members at the University of Antofagasta to develop a research and academic curriculum focused on preventing the spread of diseases and parasites among farmed fish or to the wild fish population, without the use of potentially harmful chemicals. Some researchers use mathematical modeling to study the complex social and biological systems behind the spread of disease. With this, scientists can peruse a range of factors relative to the disease – such as ecological impact or human behavior and develop a mathematical model which can be used to explore the effect of each factor. MAIC's office is located in Corbett Hall on the campus of the University of Maine, in Orono and at the University’s Darling Marine Center in Walpole. In support of its mission, MAIC promotes applied aquaculture research, assists in the formulation of policies favorable to industry growth, serves as a clearing house for aquaculture information, and liaises with government organizations, aquafarms and the general public. With the decline in wild ground-fish populations, there is considerable interest in developing efficient techniques for raising cod, halibut, and haddock on fish farms. Researchers at the University of Maine are studying both the nutritional needs of larval cod and haddock and the type of food needed to maximize healthy growth in the early stages of these fish. The University of Maine's Center for Cooperative Aquaculture Research is experimenting with different ways of hatching and raising haddock and halibut on a commercial scale. In addition, the bio-technology industry may benefit from salmon farming. Serum from fish blood, one of the by-products of harvesting salmon and steelhead trout, can be used by scientists in bio-medical research and may offer advantages to researchers over the more commonly used mammalian serum. A way to extract large quantities of uncontaminated fish serum for use in laboratories is currently being developed. While there has been some growth in mussel production using rafts along the Pacific Northwest, there was no significant industry in New England until a recent start-up effort involving the MAIC mussel working group and Great Eastern Mussel Farms. There were several obstacles to overcome at first, and solutions were tested. In order to increase the acceptability of suspension culture of mussels along the Maine coast; small lease sites were used, and rafts were selected as the structure of choice. In addition to providing a stable platform for working, rafts produce high volumes of mussels in small areas (40 x 40 foot raft yields to 30 tons of mussels per year). Still, this benefit was somewhat offset by some obstacles during the project involving ducks. These obstacles, however, were averted through the use of a duck predator net. The net was especially important to overcoming the duck problem since Maine has one of the largest recovering eider duck populations in the world (over 3,000 rafting ducks inshore from December to April). Rafts are beneficial because they can take advantage of the vast areas of ice-free deep water along the coast of Maine. Additionally, the mussels grown on rafts are thought of by many as being of superior quality to wild mussels. Finally, raft produced mussels provide more edible product than wild caught mussels. Wild mussels yield only about 10 pounds of meat per bushel while raft grown mussels produce an average of 24 pounds of meat per bushel. Beals Island Regional Shellfish Hatchery, is a nonprofit, government- subsidized educational and research operation located on Beals Island in Maine. The hatchery has been instrumental in studying soft-shell clams and educating the public about this resource. The hatchery produces millions of 1/4 to 1/2-inch soft-shell clams each year by spawning broodstock and raising the juvenile clams through to transplant size. To induce spawning, broodstock clams are "shocked" by moving them from 50 degrees F seawater to seawater warmed to 70 degrees F. The change in temperature causes clams to release eggs and sperm into the water. Fertilized eggs (a two-inch female clam may contain 1 million eggs) are collected and placed in large tanks in the hatchery where they are raised until the clams are 1/15 inch long. They are then placed in floating trays, 15,000 clams per tray, and are transported to the Mud Hole, three miles from the hatchery. The young clams are then left in the trays to grow until they reach transplant size. Much of this process often involves significant R&D because many times project developers generate novel ideas to improve the process. The Marine & Freshwater Aquaculture Research Program (Sarasota County, Florida) is developing innovative technologies to produce fishes and invertebrates to meet the growing national demand for seafood while restocking depleted recreational and commercial stocks. Research is directed toward designing and testing filtration technologies for sustainable re-circulating systems and toward developing spawning, larval, fingerling and growout culture methods for marine or freshwater species. Mote's Marine & Freshwater Aquaculture Research Program conducts research at the 200-acre Mote Aquaculture Research Park (MAP) in eastern Sarasota County and at Mote’s Tropical Research Laboratory in the Florida Keys. Spawning and rearing technologies for marine fishes and invertebrates have been investigated for a wide range of species, including Common and Pacific snook, Florida pompano, southern flounder, greater amberjack, red drum, red snapper, zebrafish, sturgeon, abalone, shrimp, hard corals and long-spined sea urchins. Re-circulating systems that filter and reuse water are environmentally compatible, conserve precious water resources, provide bio-security to protect farmed animals from disease, and ensure good water quality conditions for farmed species. The opportunity to develop and expand marine fish farming to inland locations using re-circulating technology addresses both land and regulatory constraints facing Florida's aquaculture producers. The need to move marine aquaculture inland is based on skyrocketing coastal property costs and the need to develop sustainable production methods that are safe for the environment. Research is directed at designing and testing filtration systems that operate with minimal water loss to support the establishment of inland marine fish farms. Recent studies have integrated fish and wetland plant production in order to utilize high-nutrient waste to produce a secondary crop. Future studies will focus on expanding saleable products, incorporating alternative energy into system design and increasing the economic feasibility of re-circulating systems. Aquaculture is a fast emerging industry. Industry leaders confront many important challenges. Although aquaculture is a challenging and complex industry, scientists hope to provide solutions through innovation and R&D. Federal and state R&D tax credits are available to stimulate the innovation efforts within the industry.